H: 31.5 in. x W: 17 in. x D: 21 in. 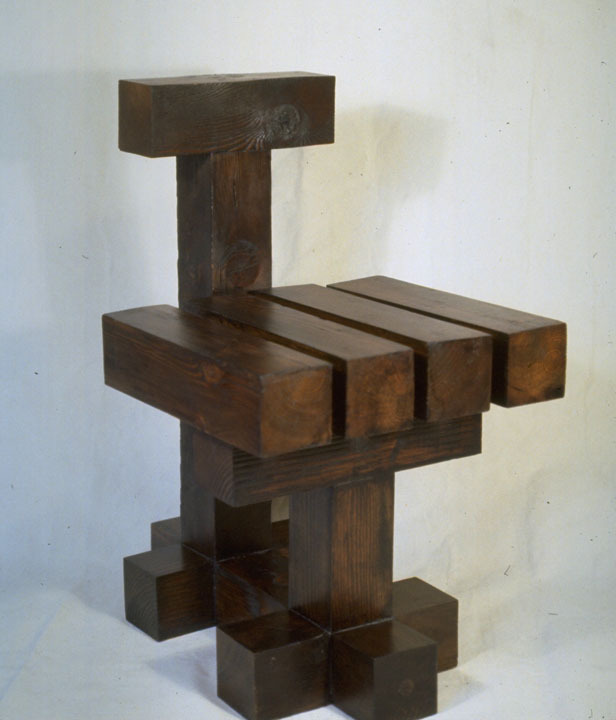 The Pedestal Chair was among the earliest works to develop forms based on multiples of the 4x4 cube. Later works in the series — particularly the Mushroom Piece and the Bunjes Piece — explored more architecturally complex assemblies and employed contrasting woods in both natural (redwood) and painted finishes.